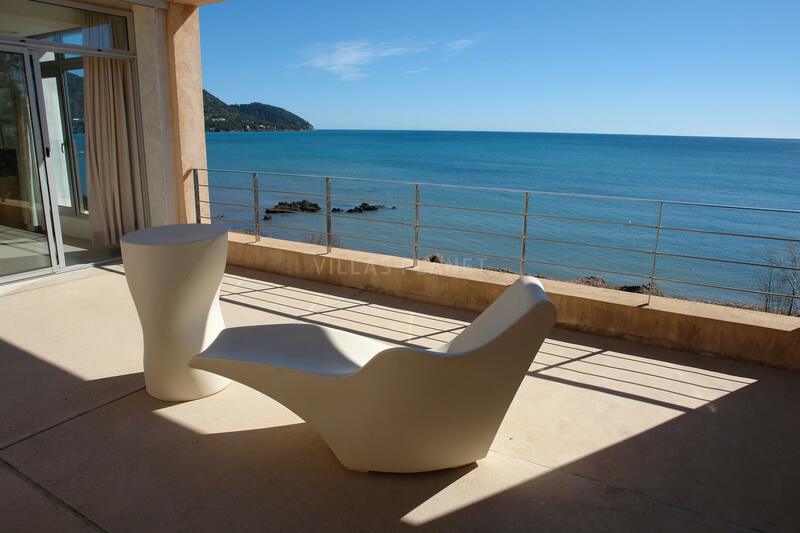 Villa Port Nou Luxury house on the beachfront. 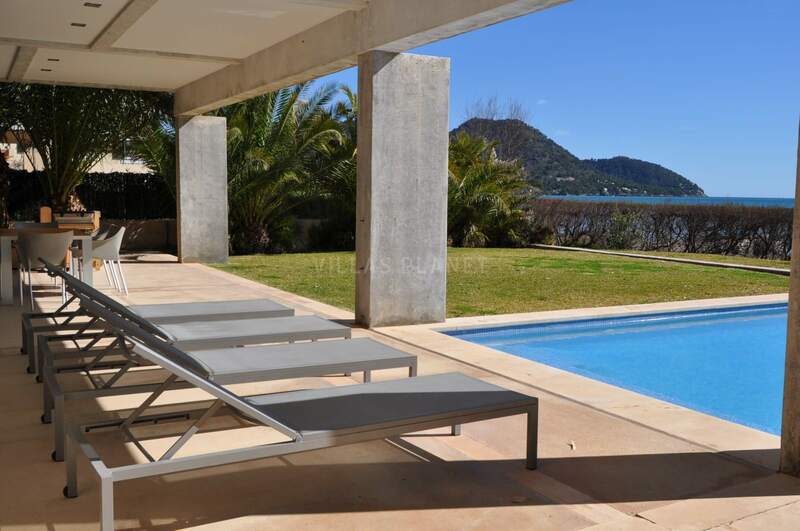 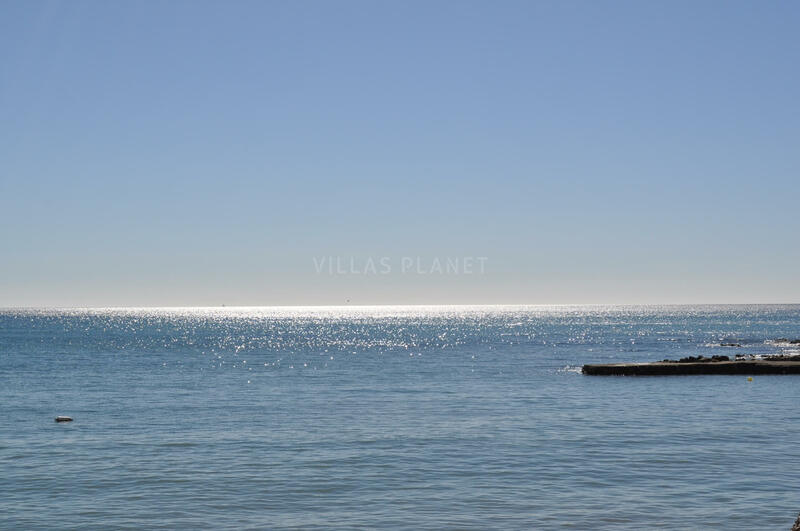 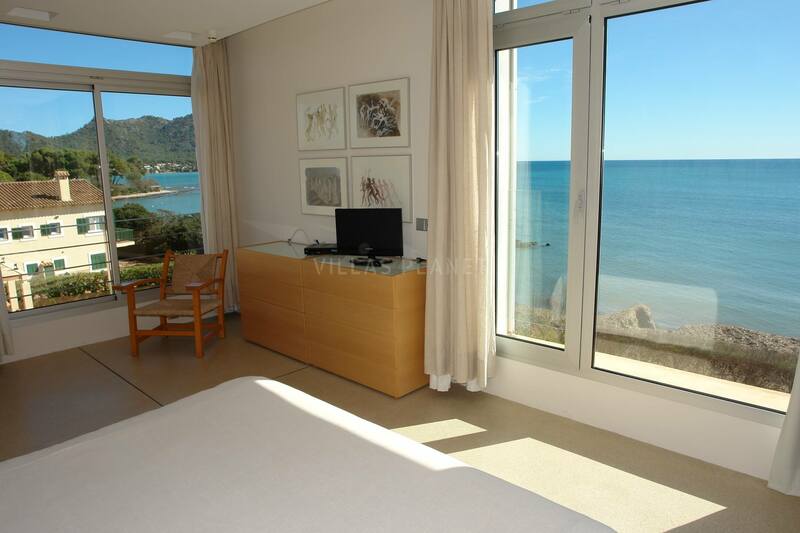 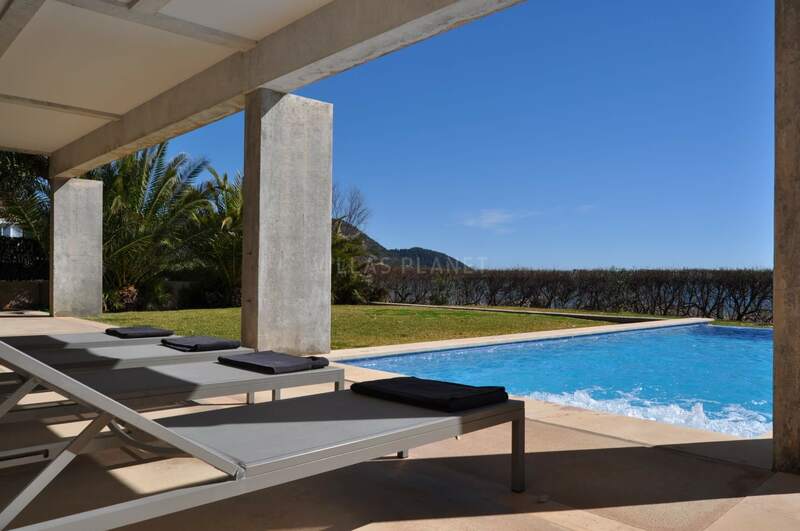 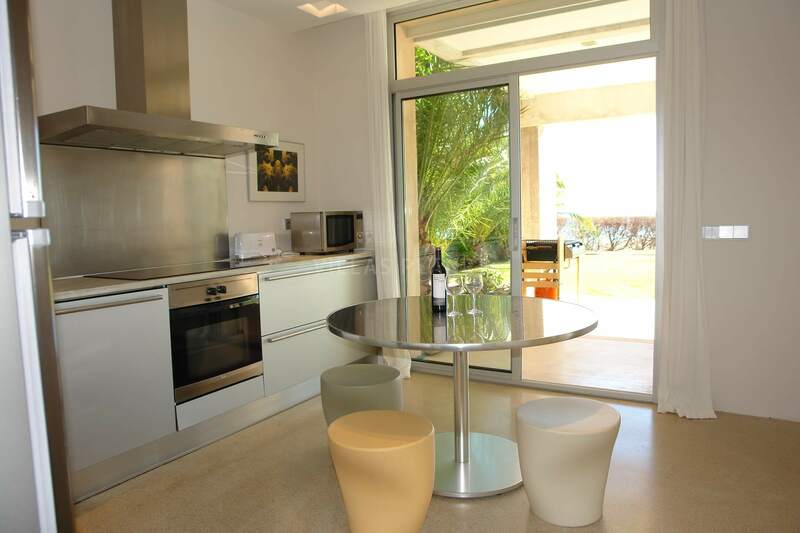 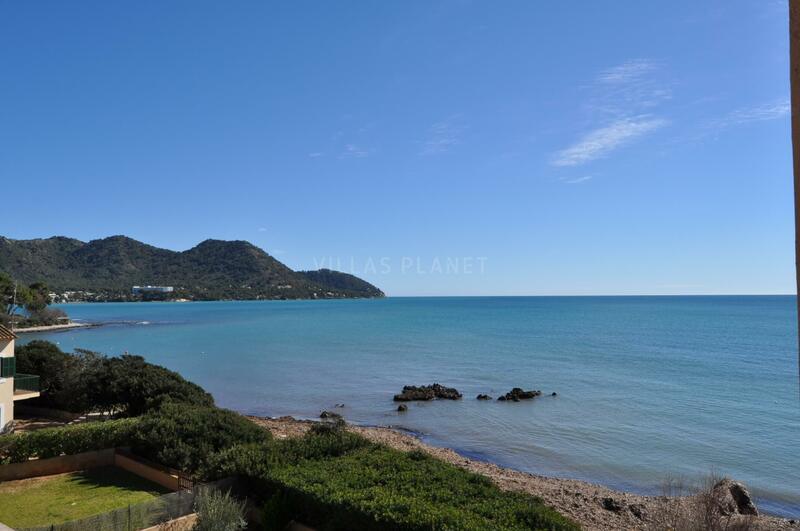 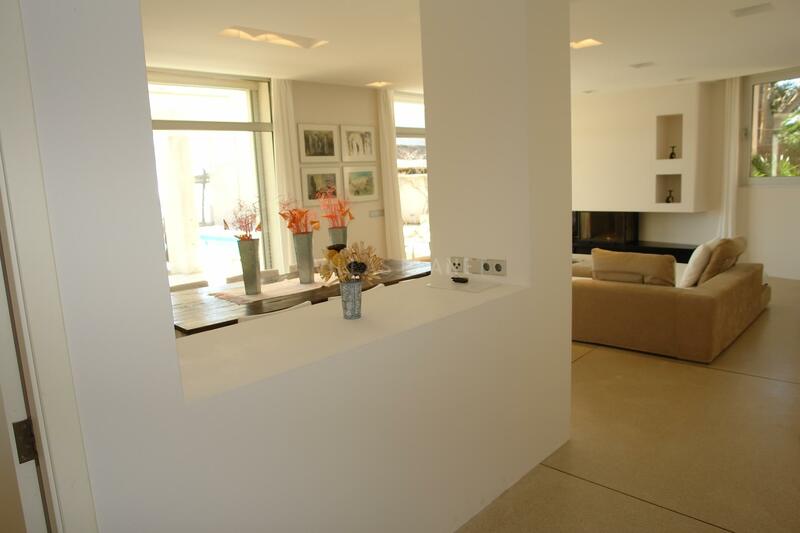 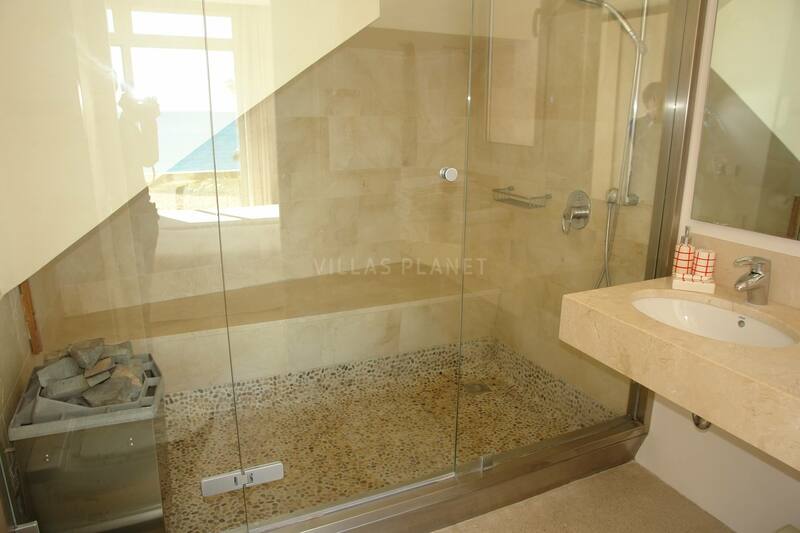 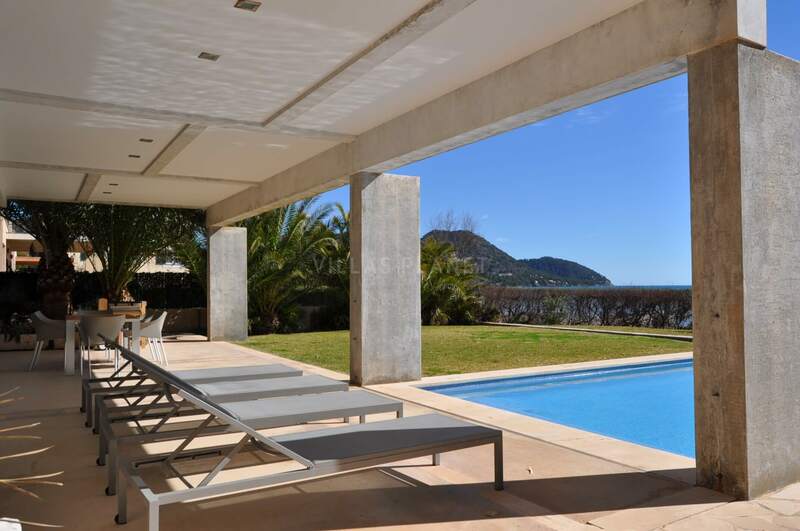 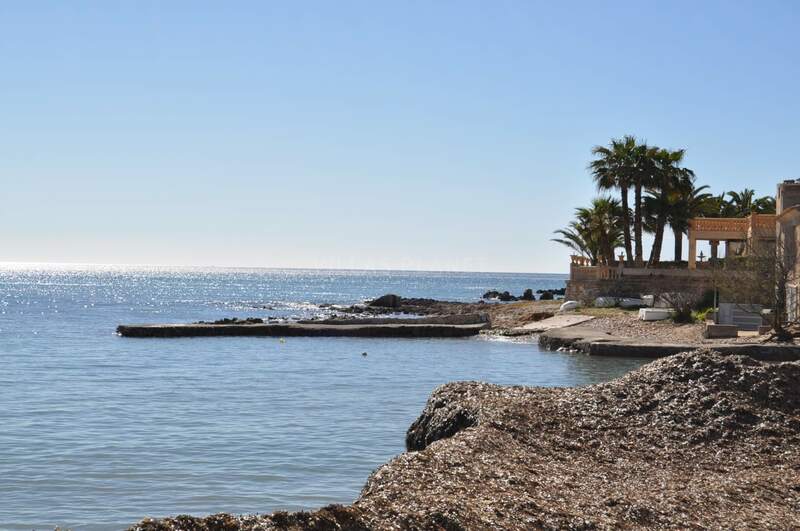 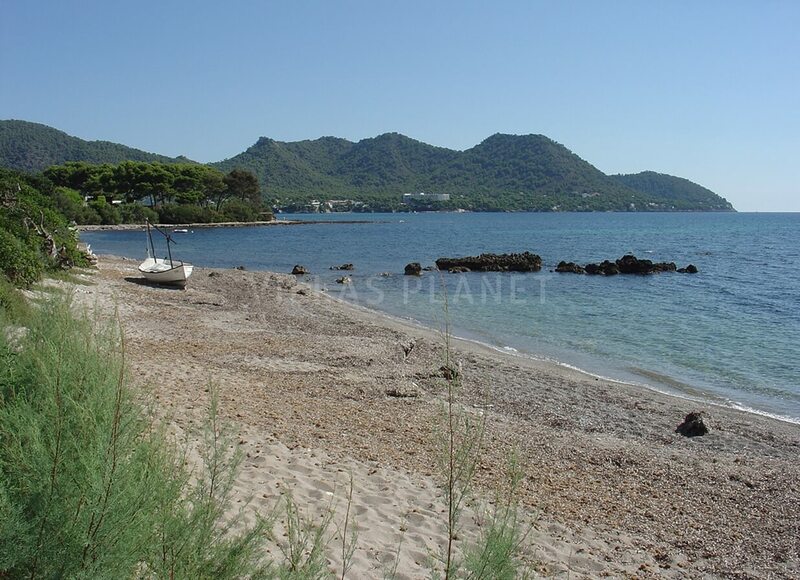 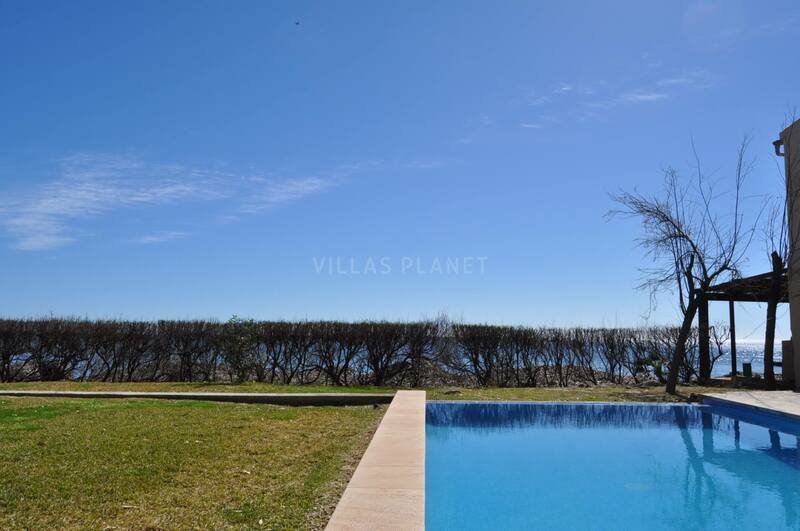 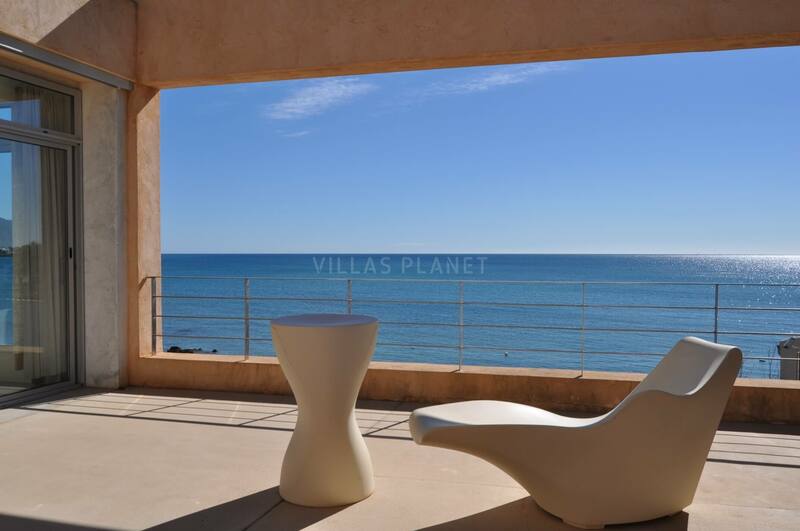 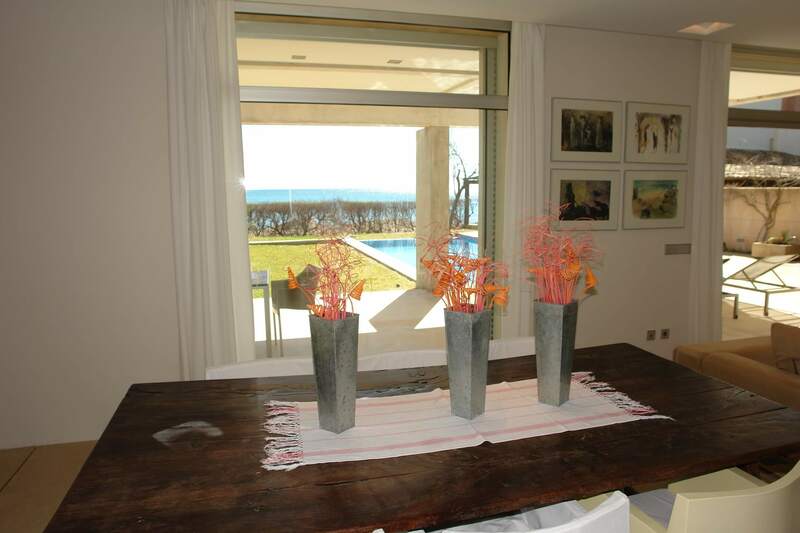 Luxury villa situated first line beach of Port Nou in the Northeast of Mallorca, near the "Costa de los Pinos." 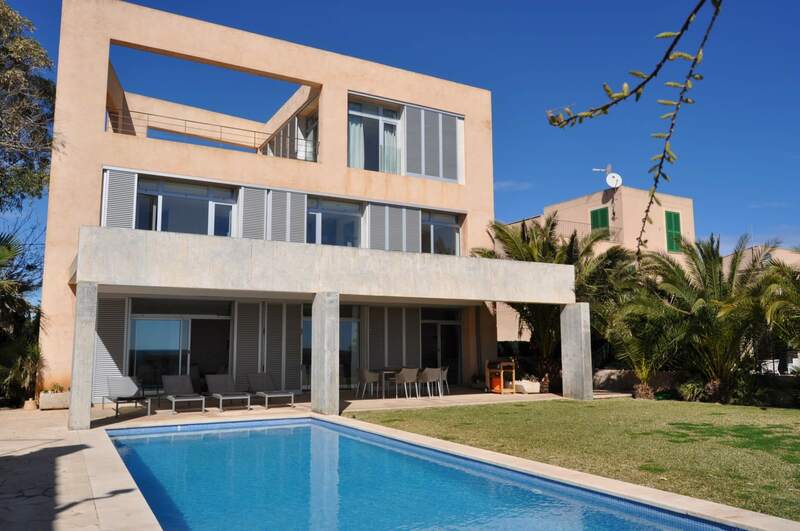 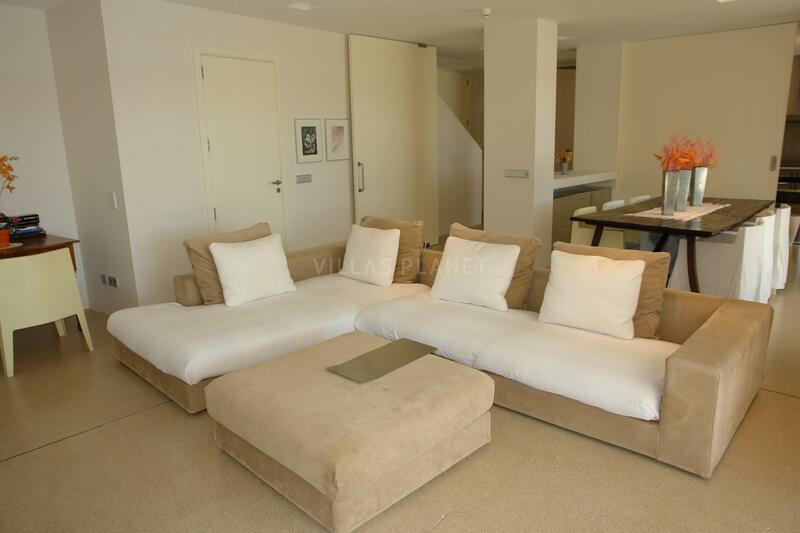 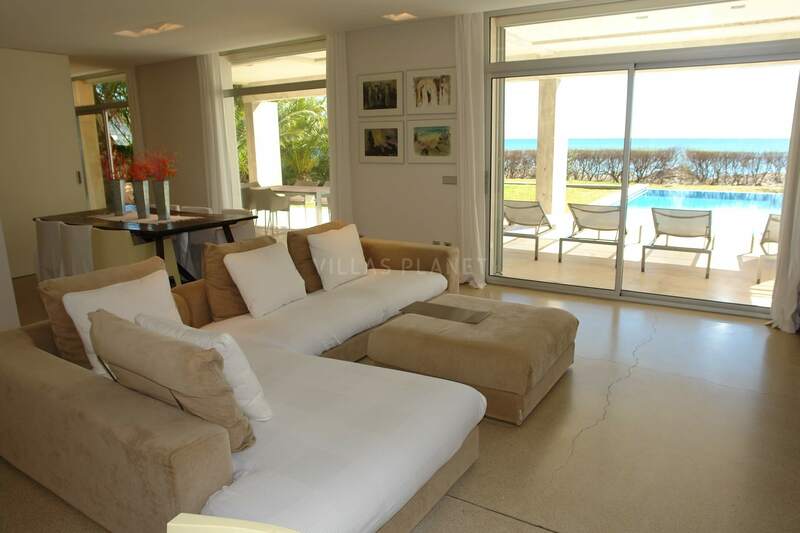 This villa has been built in a modern architectural style. 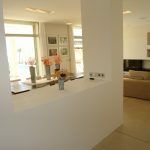 The interior is decorated in a avant-garde style, elegant and simple, taking into account the details, giving it a cozy and homely. 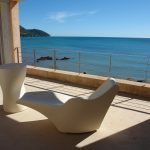 The porch furnished with design furniture in front of the pool surrounded by lawn with direct beach access you can enjoy from there or any point in the house a wonderful views over the Mediterranean Sea, a line of tamarind as a hedge to define the limit between the property and the beach. 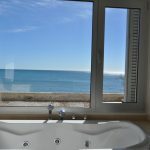 The house of approx. 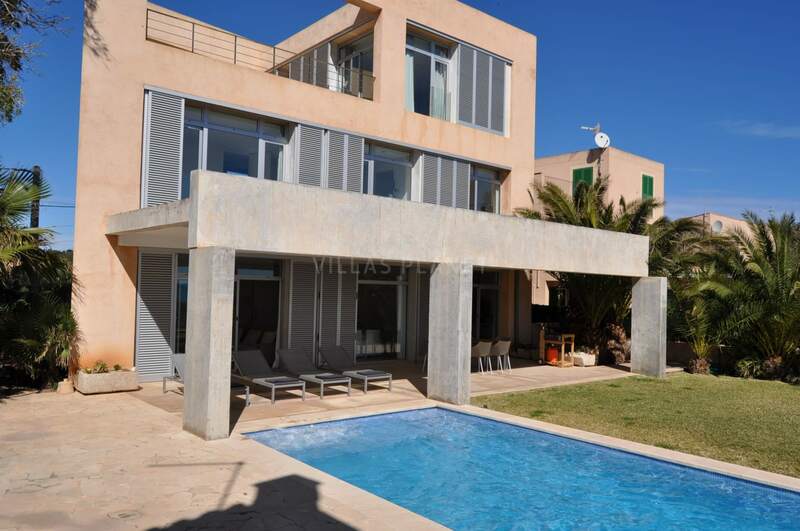 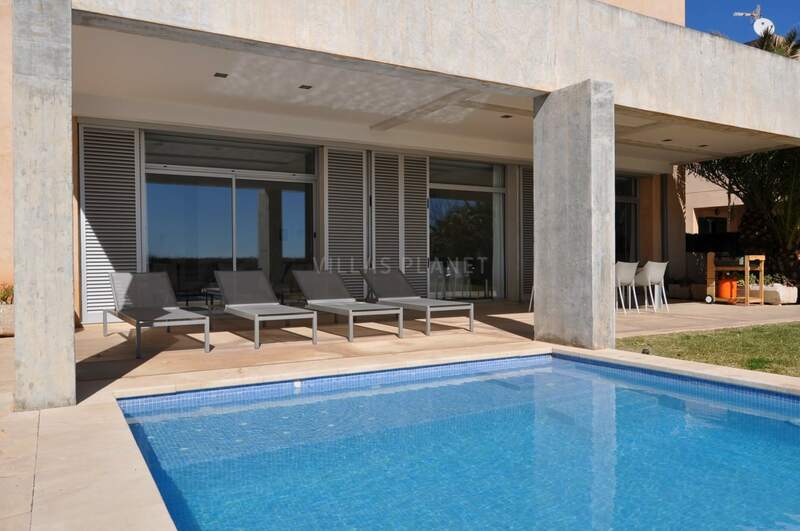 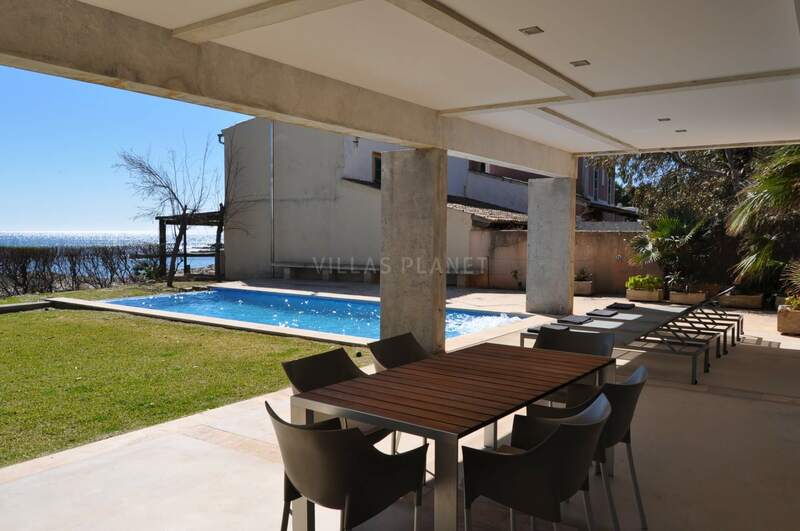 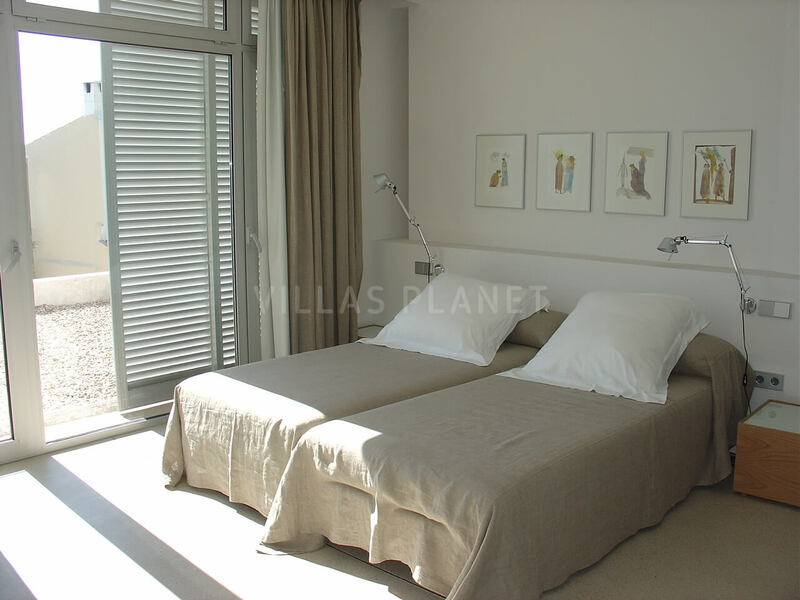 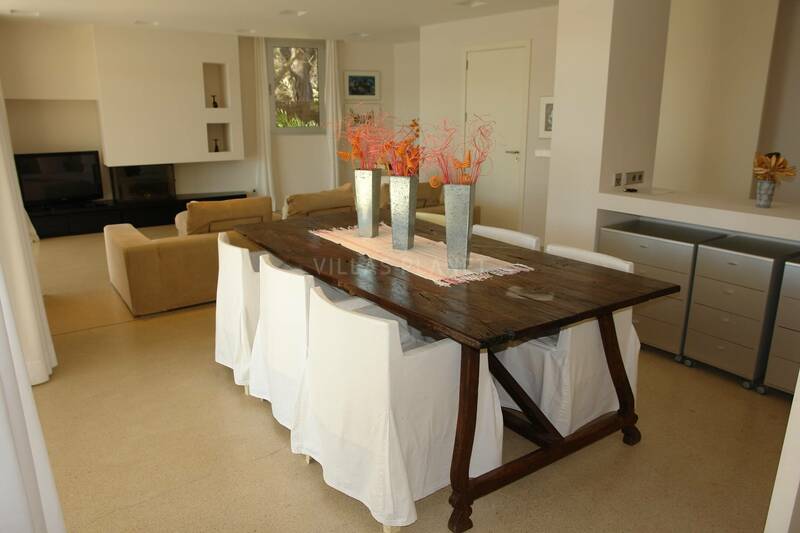 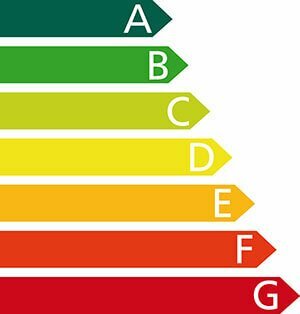 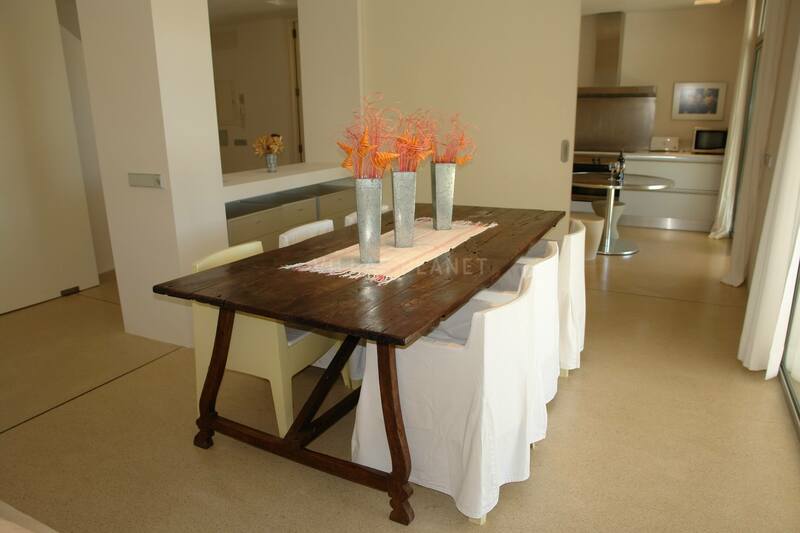 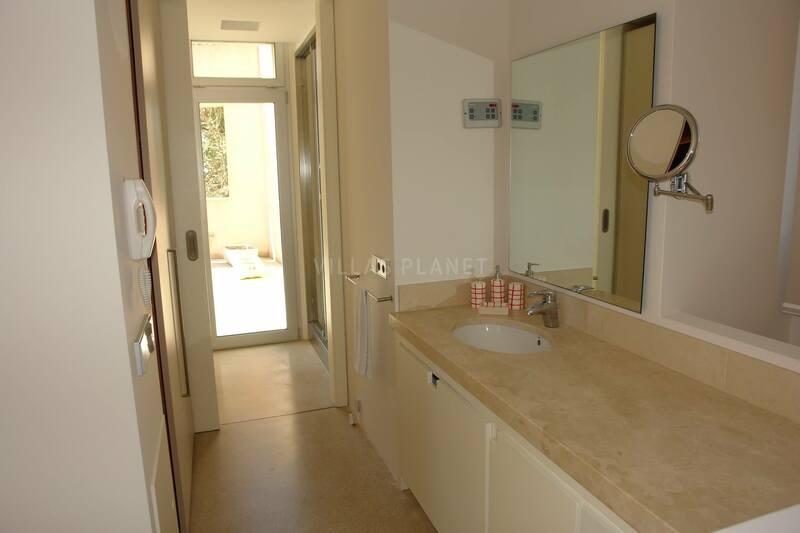 280m² is comprises in three floors and a basement garage. 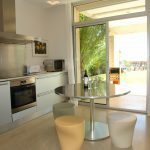 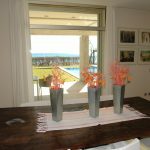 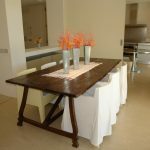 On the ground floor are the dining room with fireplace and large windows with exit to the terrace and swimming pool, fully equipped kitchen with appliances and a guest toilet. 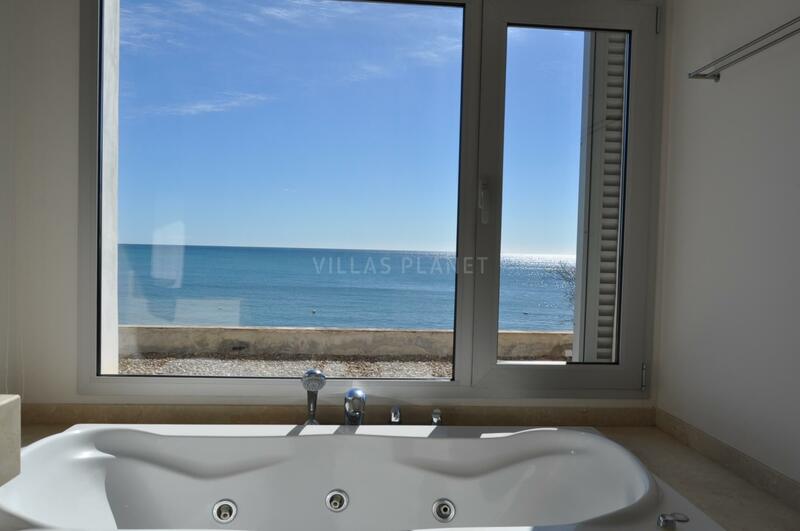 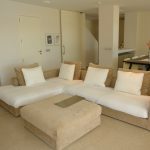 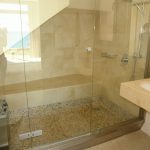 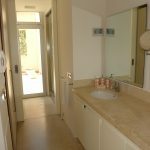 On the first floor 2 double bedrooms with their respective bathrooms en suite with a whirlpool bath and seperate shower with magnificent sea view and one bathroom shower is equipped with sauna. 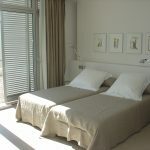 All the upper floor is for the master suite has dressing room and Turkish bath (shower) , also with exit to a nice terrace as a viewpoint, which enjoys fabulous views to the bay of Costa de los Pinos Port Vell, Cala Bona surroundings... Two of the bedrooms are equipped with two single bed and a double bed for the suite. 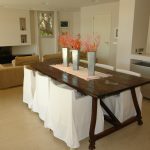 The Villa Port Nou Excellently equipped with underfloor heating, Internet-DSL router-wifi, central vacuum, satellite TV, domotics-home automation, appliances first brands... 'Villa Port Nou' can be combined for some families in group at the same time, if the occupation schedules allowed with the luxury house next door called 'Villa Copinya' . 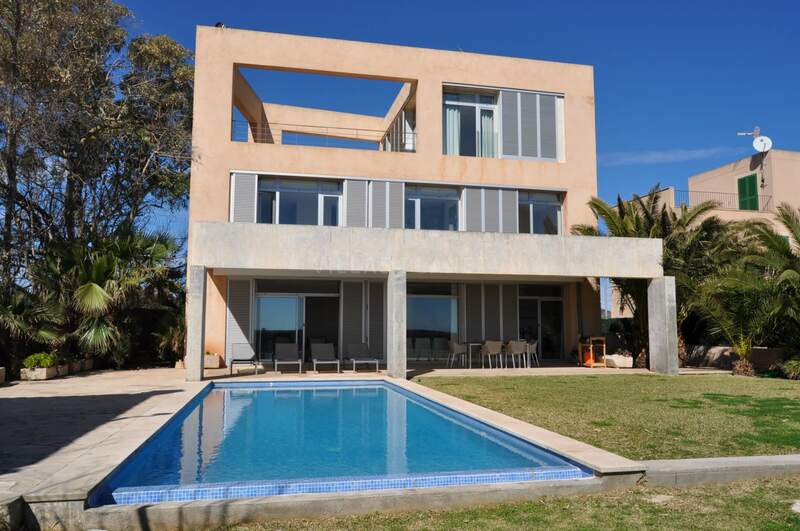 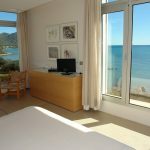 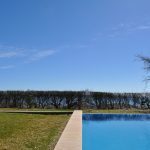 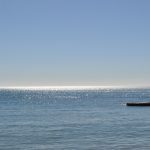 'Villa Port Nou' also is next to four different golf courses near the Costa de los Pinos, two of them just 5 minutes away by car: Pula Golf y Golf Son Servera and just 10-15 minutes driving away Golf Canyamel y Golf Roca Viva. 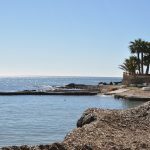 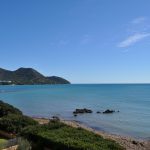 A few meters walk you can also find the virgin beaches of 'Sa Marjal', 'Es Ribell' and 'Es Rajolí' with a vegetation based on junipers and tamarinds, typical of the Mallorcan Levante.